Hurstmere Road Mac's Brewbar is situated in Takapuna, on Auckland's North Shore. The large modern bar offer guests decent beer and food, served up in a relaxed and welcoming atmosphere. The menu features a range of dishes to suit either end of the appetite scale. The selection of smaller dishes include cajun shrimp fritters, pan seared calamari and shredded BBQ chicken. For those looking for a more hearty option, the menu offers whole snapper, lamb burger, fish and chips, pizza and a pie of the week. 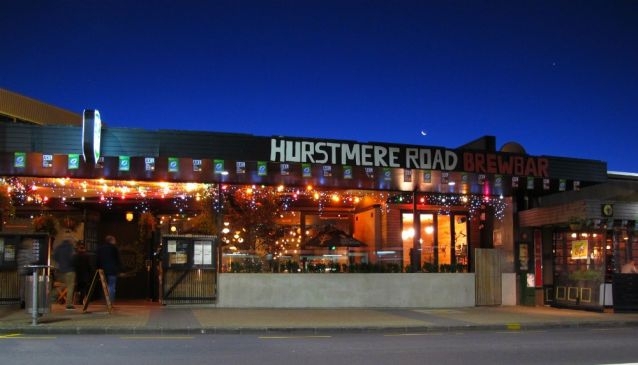 Hurstmere Road Mac's Brewbar also offers an outdoor dining area which is ideal during those warm summer months.